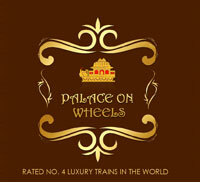 Featuring over 15 exciting pan-Indian rail journeys across India, latest brochures by Indian Luxury Trains help you plan a wonderful journey through time into a fascinating age of elegant traveling. 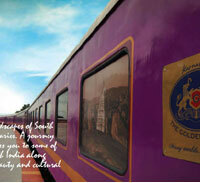 India, a concoction of confounding diversity, offers fascinating travel experience to visitors from around the world. When you select one of the luxury rail tours in India, your journey will be on the most famous modern and historic railways which has long since knitted together a whole nation. Every day of your voyage you wake up at a new destination while you travel in the quaint yet plush interiors of the trains designed to recreate the splendor of a bygone era of elegant train traveling. 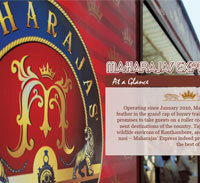 You'll keep best of the company, partake sumptuous cuisine and treated like the maharajas of yore. A kidmatgar (personal attendant) on board will take care of all your needs while seasoned guides will offer you insights during your all off-train excursions. 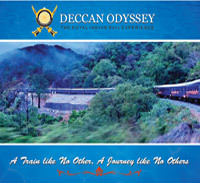 Crisscross through some of the most mesmerizing landscapes and discover myriad hues of Indian kaleidoscope as never before as you travel to some of the most magnificent monuments, dazzling beaches, picturesque mountainscapes and undulating sand dunes on board luxury trains in India arranged exclusively for you by the Indian Luxury Trains (ILT).